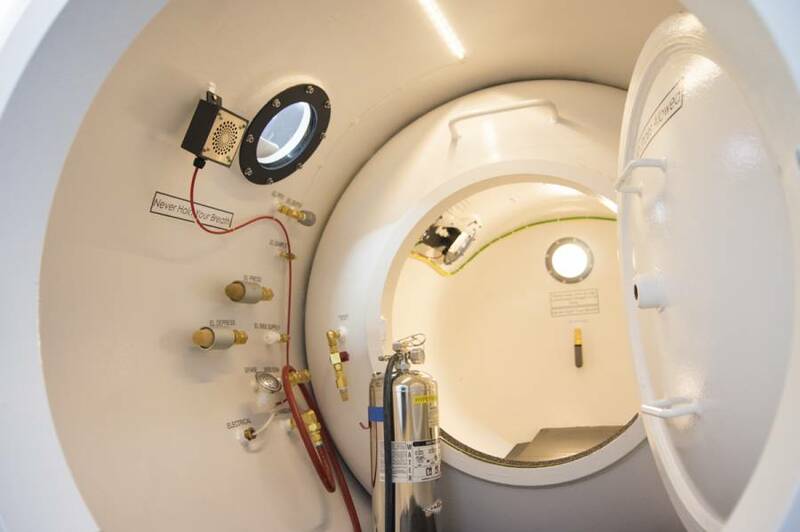 February 2017 saw the long anticipated arrival and installation of Grenada’s first hyperbaric chamber, in a specially built unit at St Augustine’s Medical Services. Dr Lutz Amechi, the Resident Physician at SAMS, welcomed Dr Tyler Sexton, the Medical Director of Caribbean Hyperbaric Medicine, who was on the island to install the chamber. 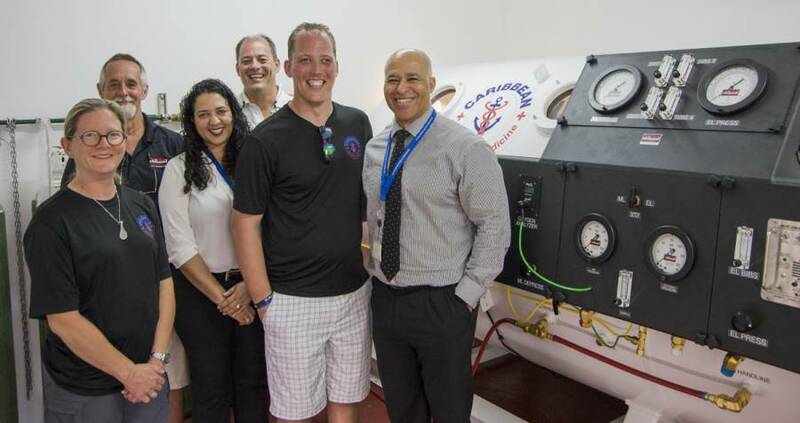 Dr Sexton advised that alongside the installation of the hyperbaric chamber, an emergency dive protocol has also been established for Grenada, with Dr Amechi as a certified hyperbaric physician. This will allow for the ‘Bends’ (decompression sickness), which can occur in scuba divers, to be treated within minutes in Grenada, as opposed to the hours previously required to airlift patients to neighbouring islands. The multi-place chamber, which allows for treatment of more than one patient at a time, will be fully operational from mid-March 2017. Significantly, both Dr Amechi and Dr Sexton highlighted the importance of this step not only for Grenada’s dive visitors and resident fishermen, but also for a number of common medical ailments. This is the case as the pure oxygen provided by the chamber, can effectively be used as a medical drug in the treatment of diabetic foot ulcers, burn infections, compromised grafts and chronic infections such as gangrene. The team at SAMS is also making plans to meet with local divers and fishermen to share their knowledge of dive-related sicknesses, and the effective treatment which will now be available to them right here on the island. Both the acquisition of the chamber and educational outreach activities are an intrinsic part of the goal of St Augustine’s Medical Services to assist with the upgrade of Grenada’s healthcare offering.